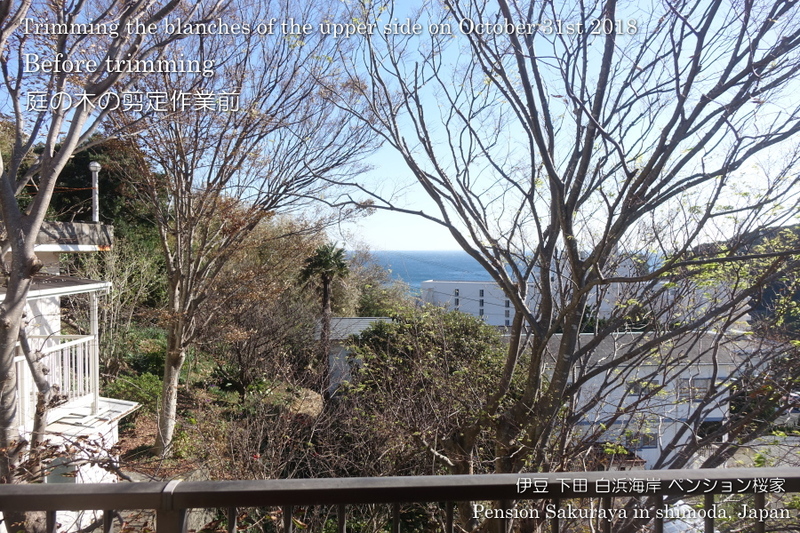 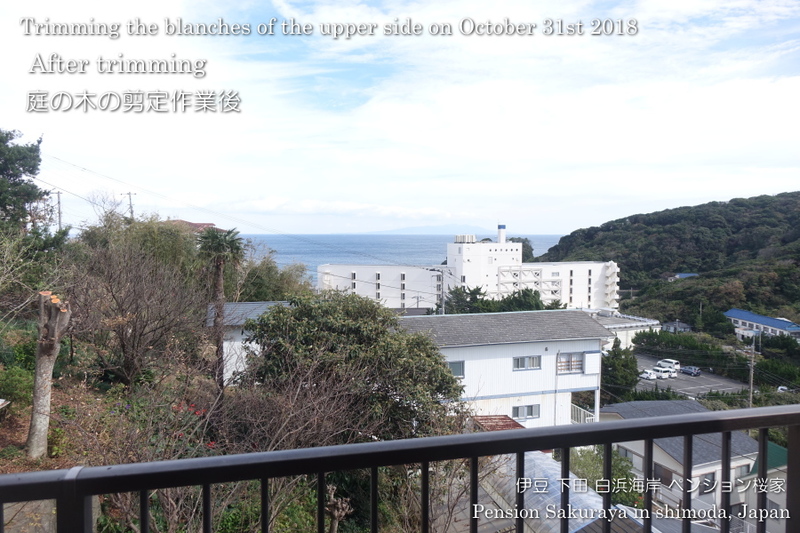 Actually we have a very good view of the sea from the terrace and the rooms of our building. 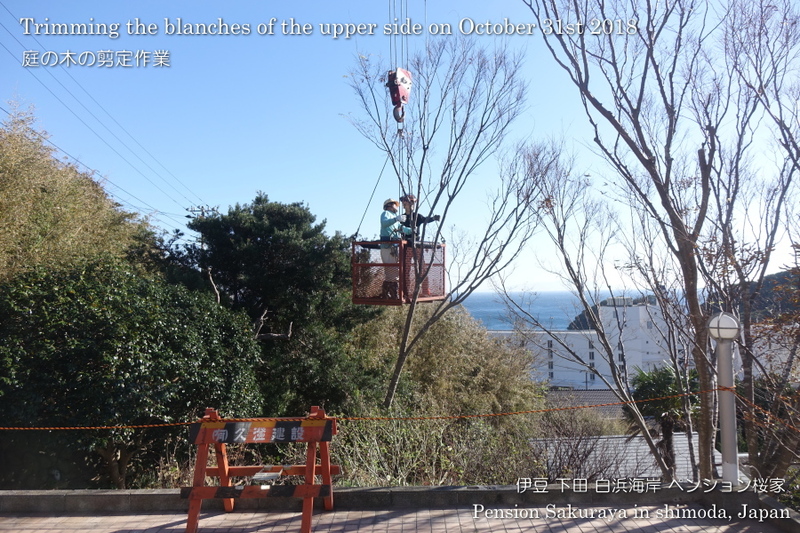 But we haven’t had it since a long time ago because of the tall trees. 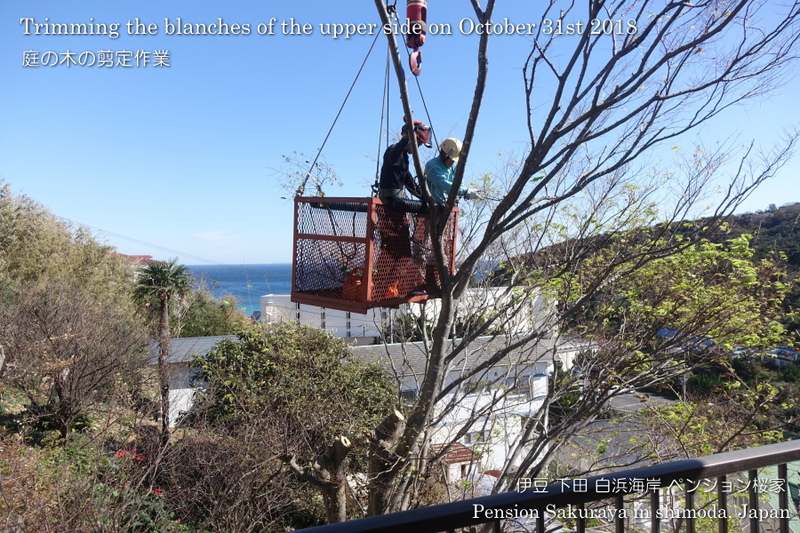 So we asked the professional to trim the blanches of the tree in our garden, and they started to work yesterday and finished it today. 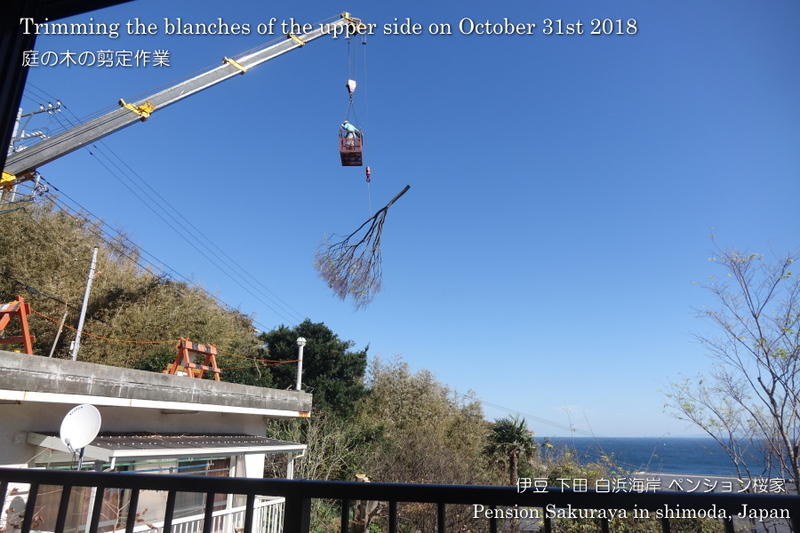 We got the wonderful view without the upper side of the trees again after all. 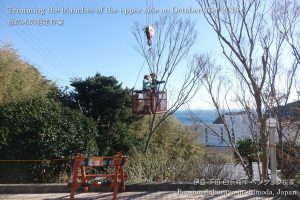 I had to climb the trees to trim before, but I don’t need to do that any more!! 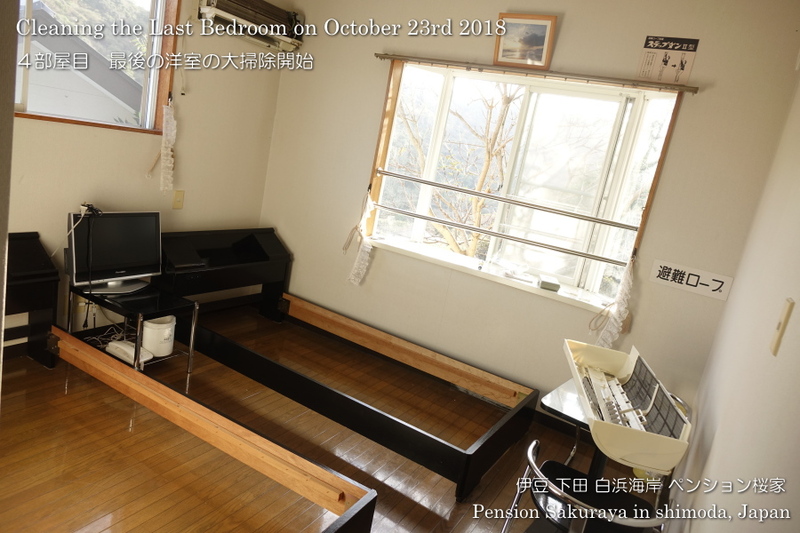 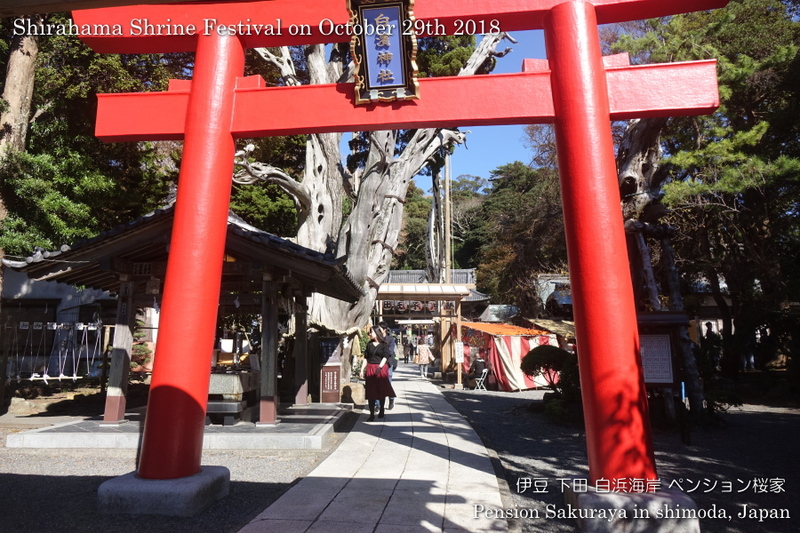 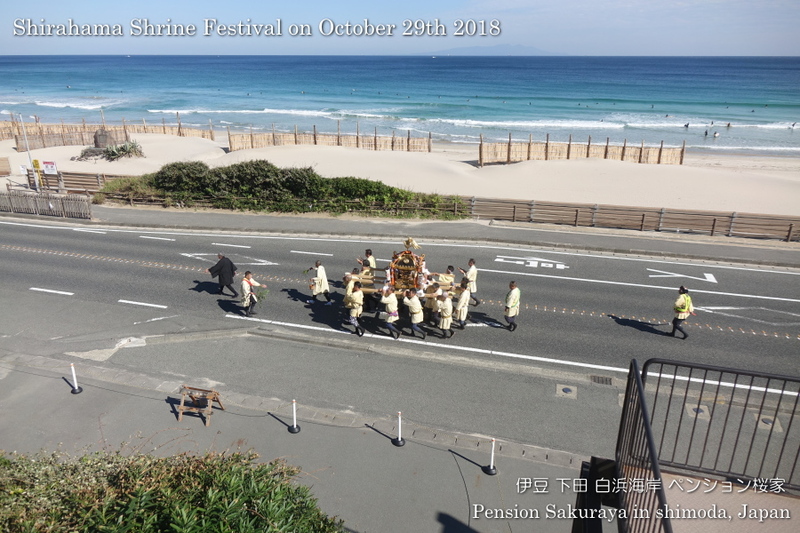 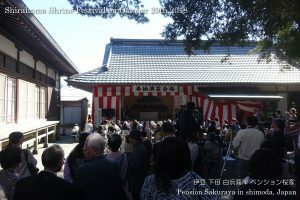 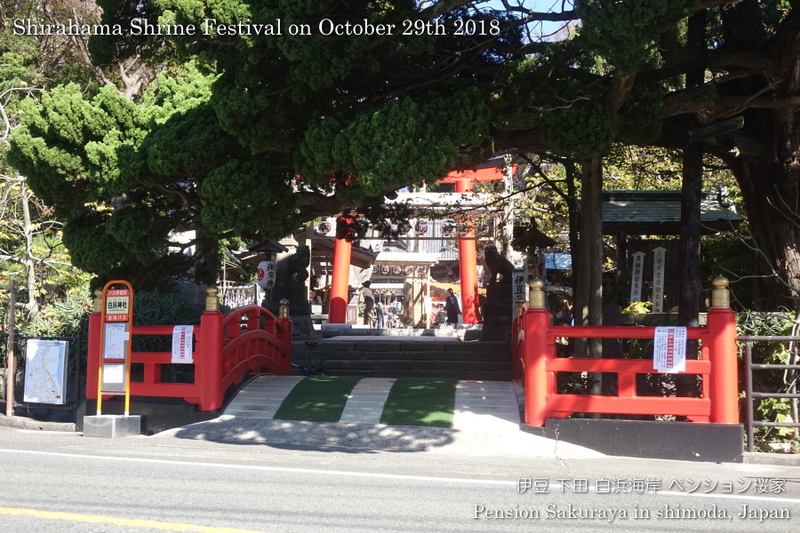 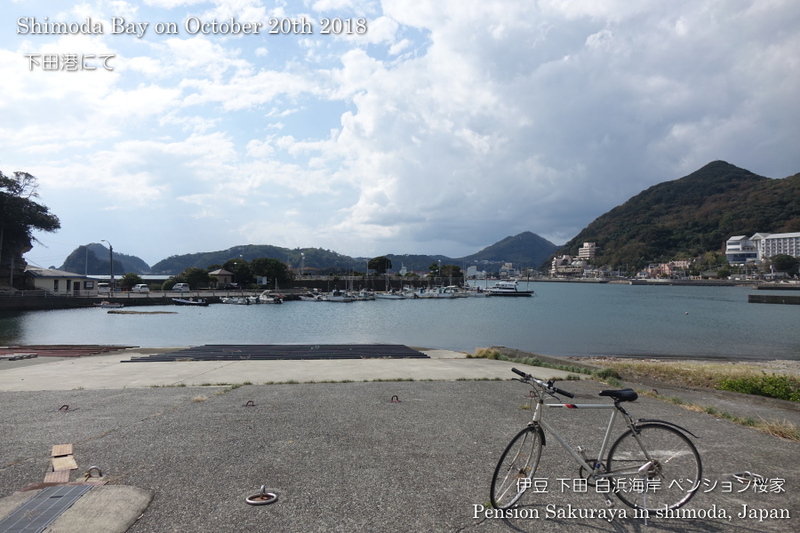 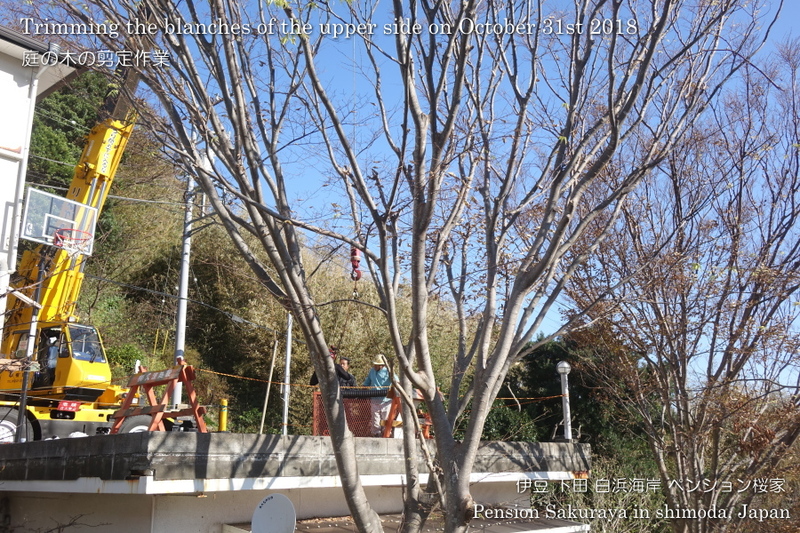 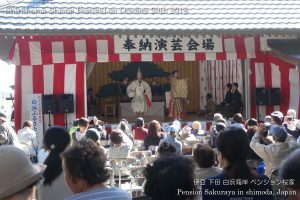 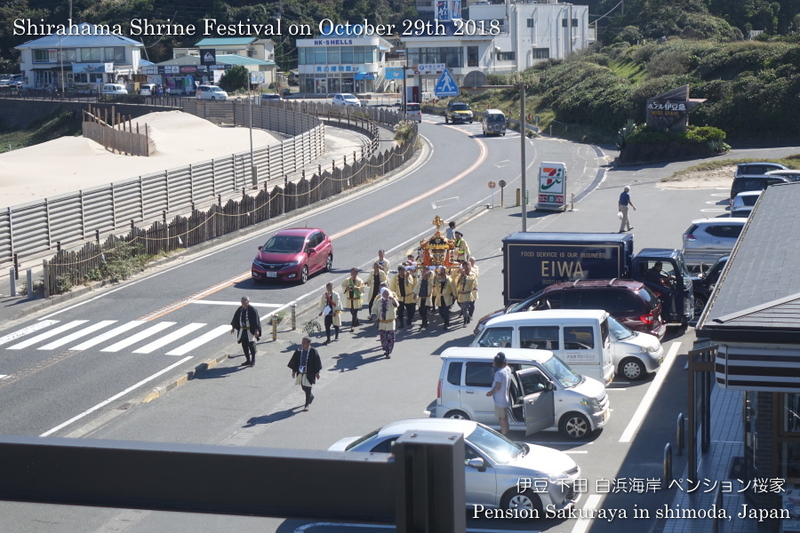 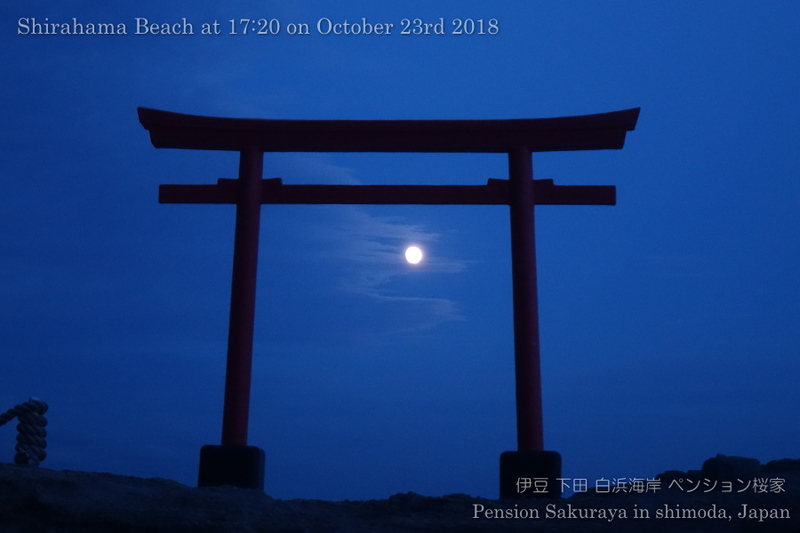 This entry was posted in Pension Sakuraya on 2018年10月31日 by izusakuraya. 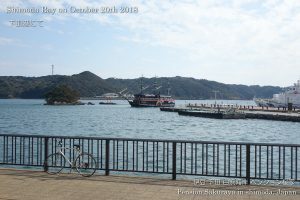 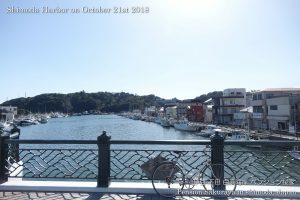 I took these photos before going to Shimoda this early afternoon. 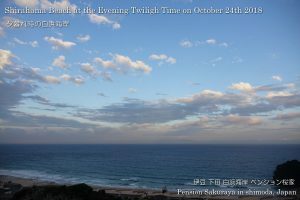 As we had west wind the sky was very clear! This entry was posted in beach on 2018年10月28日 by izusakuraya. 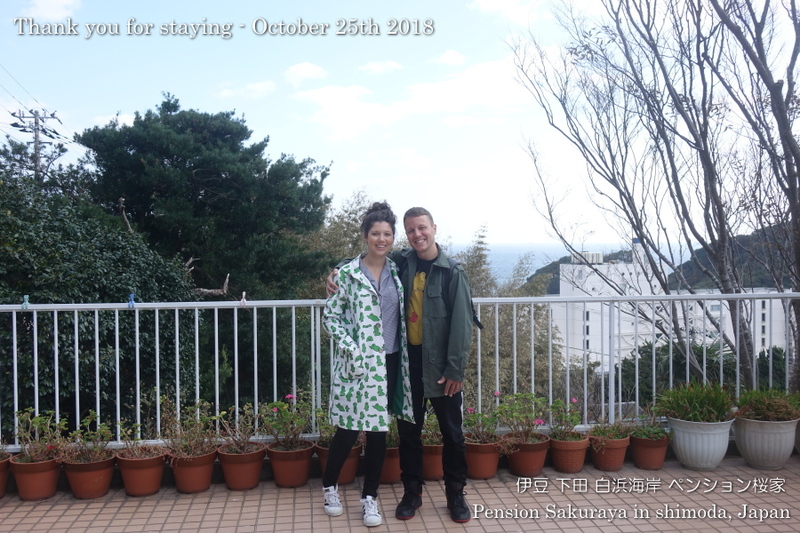 2018/10/25 Thank you for staying! 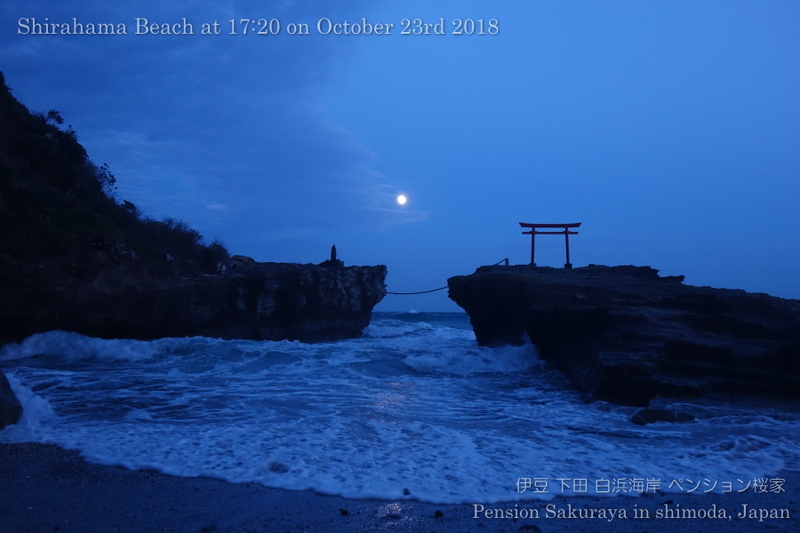 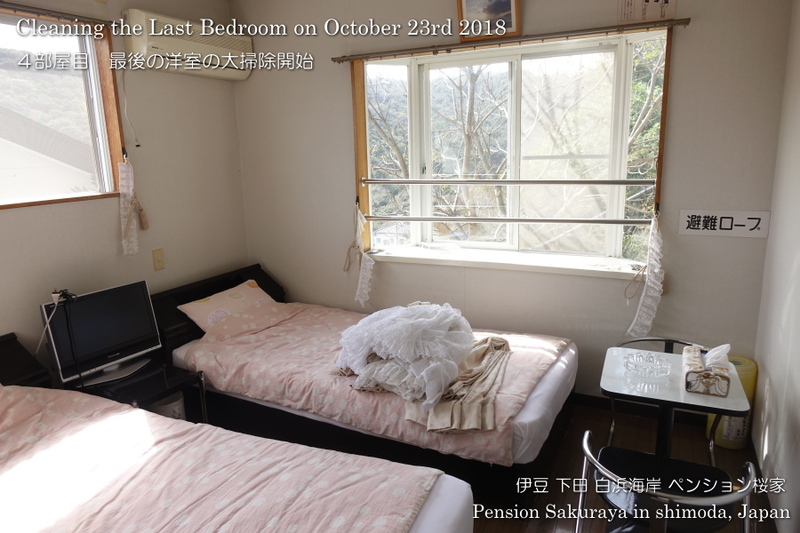 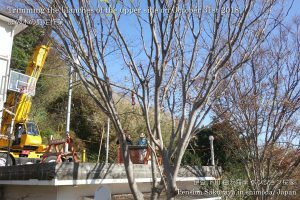 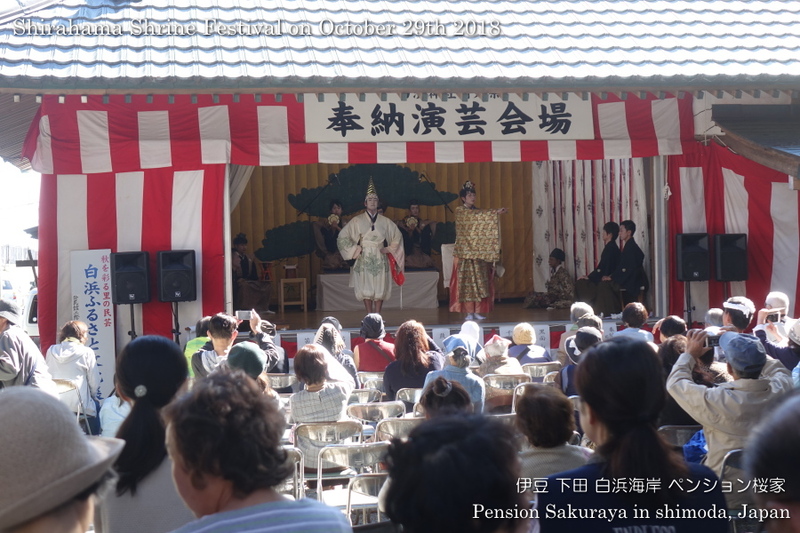 This entry was posted in Customers, Pension Sakuraya on 2018年10月25日 by izusakuraya. 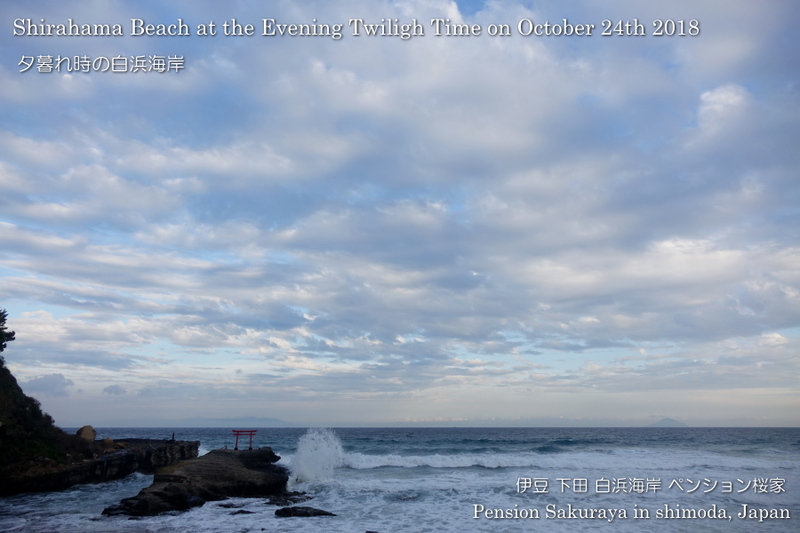 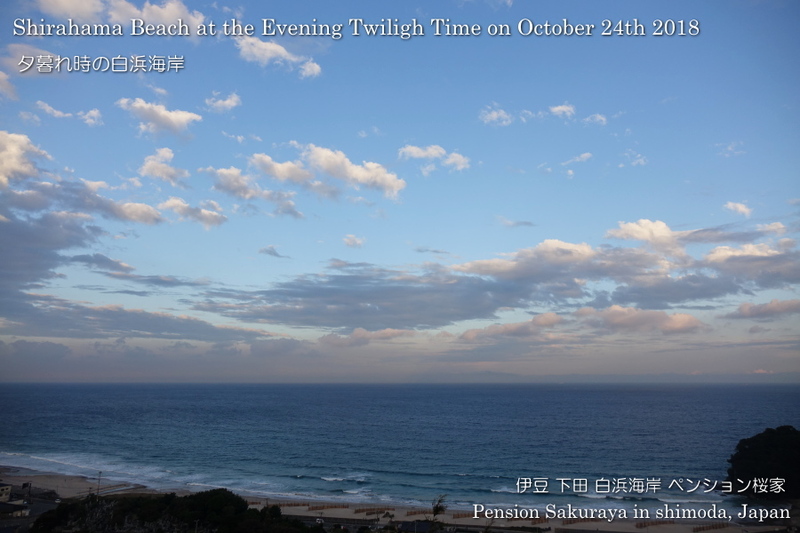 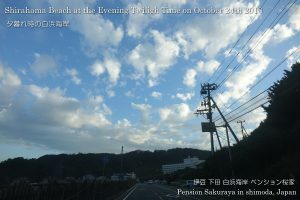 After I went to fish shop in Shirahama this late afternoon I took some photos of the clouds in the sky on the beach and at the top of the hill. In this season we sometimes are able to see beautiful senset in Izu peninsula. This entry was posted in beach, nature on 2018年10月24日 by izusakuraya. I walked to the nearest bus stop to take photos before check in time this afternoon. 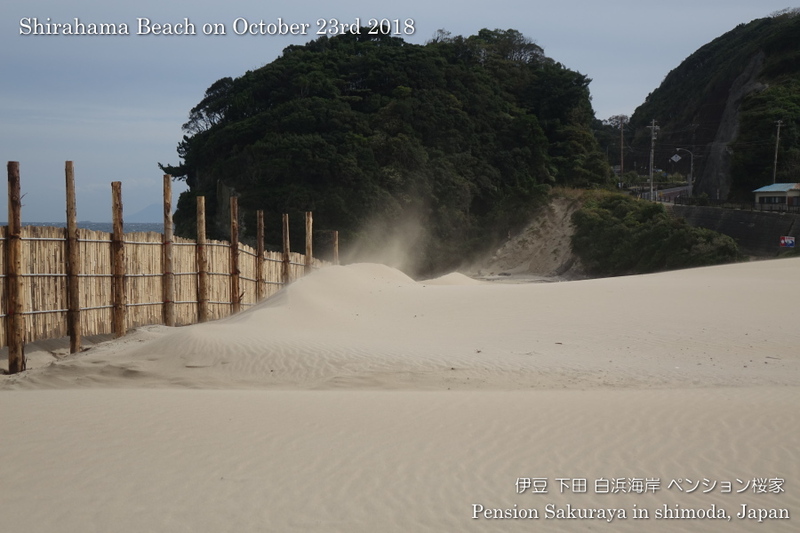 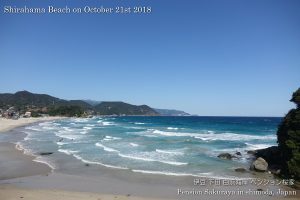 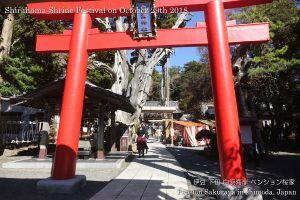 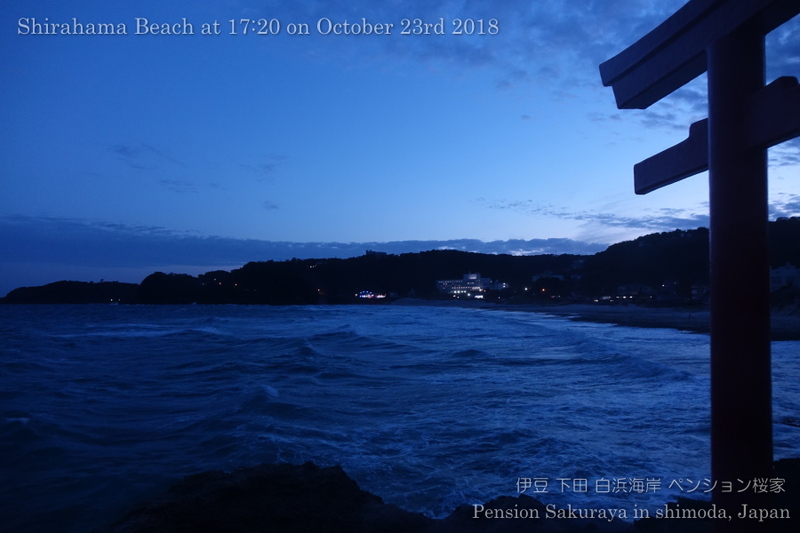 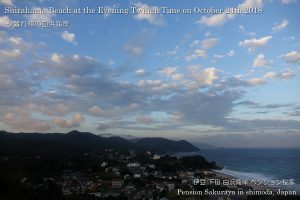 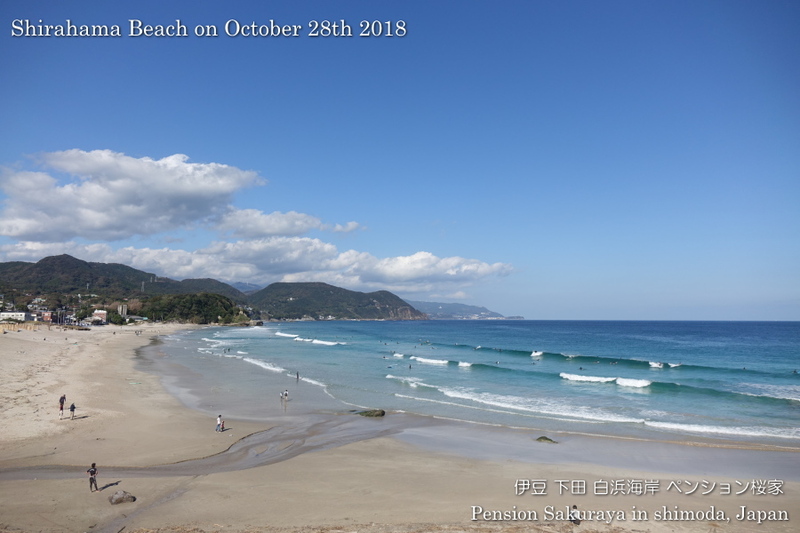 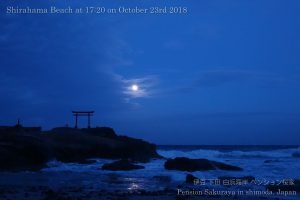 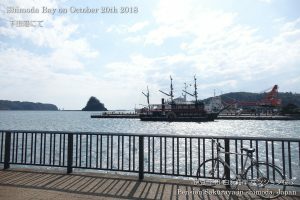 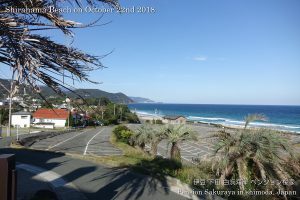 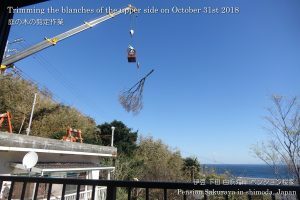 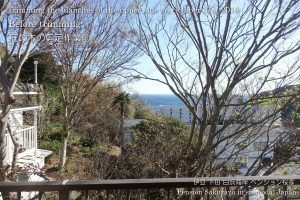 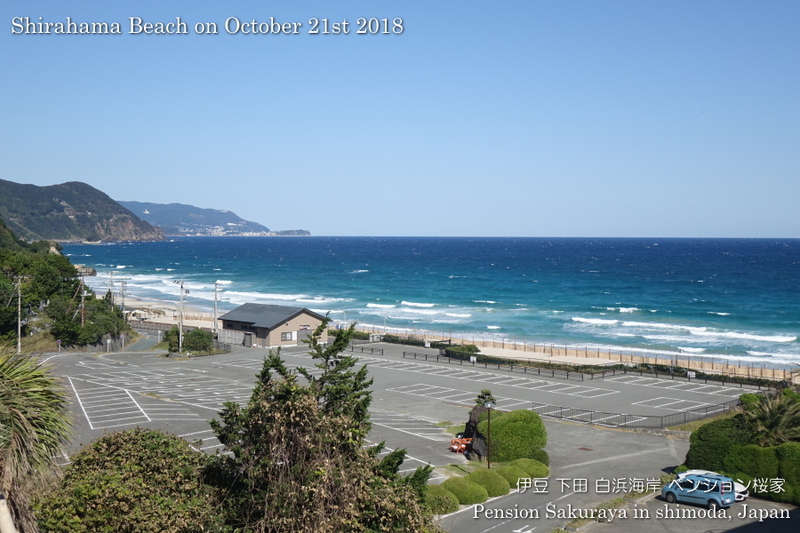 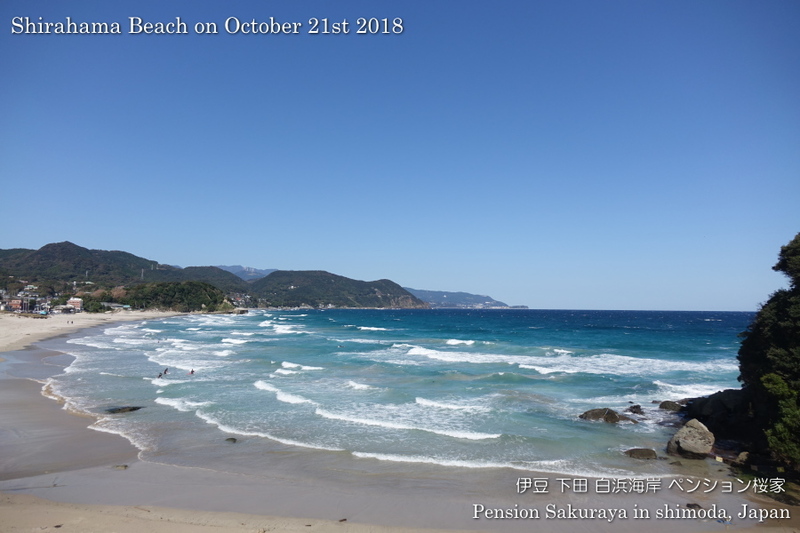 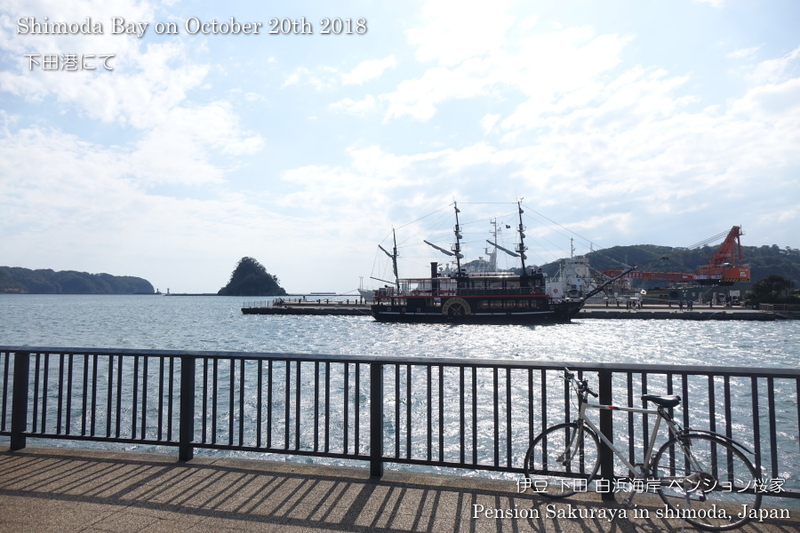 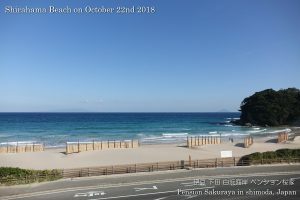 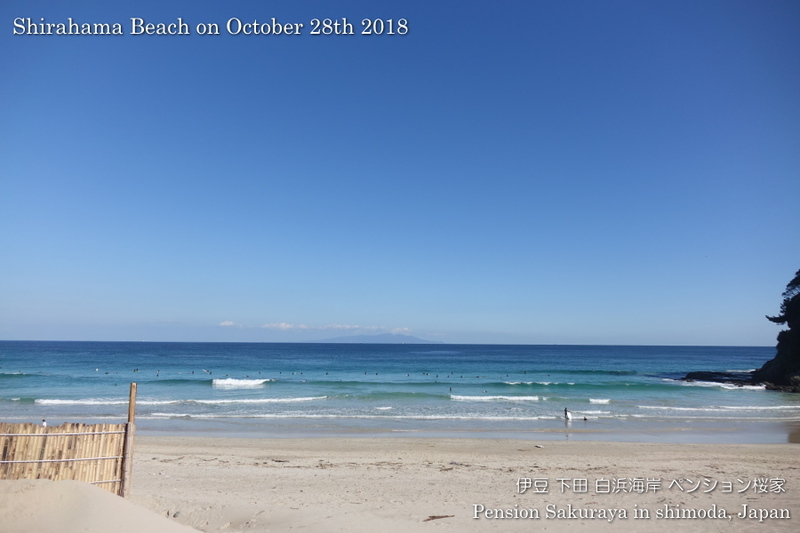 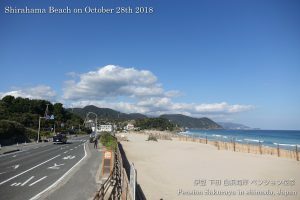 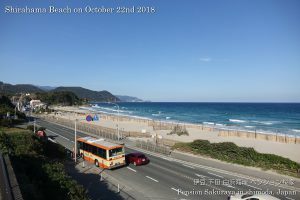 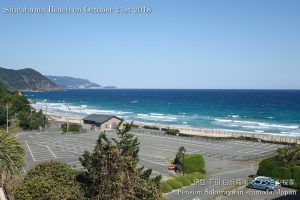 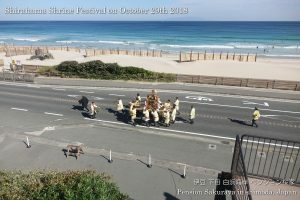 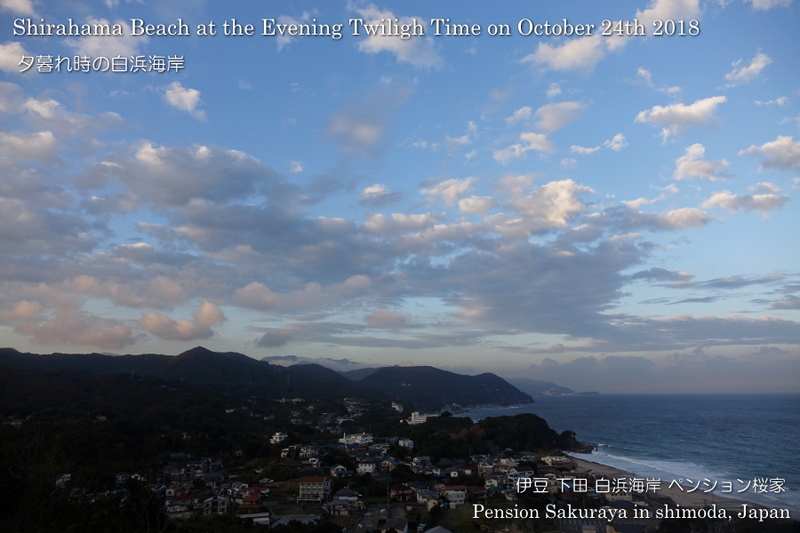 This entry was posted in beach on 2018年10月22日 by izusakuraya. 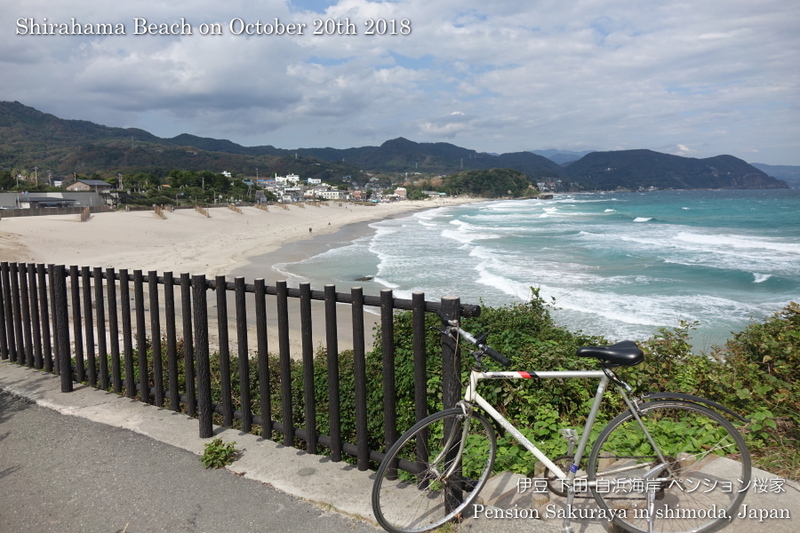 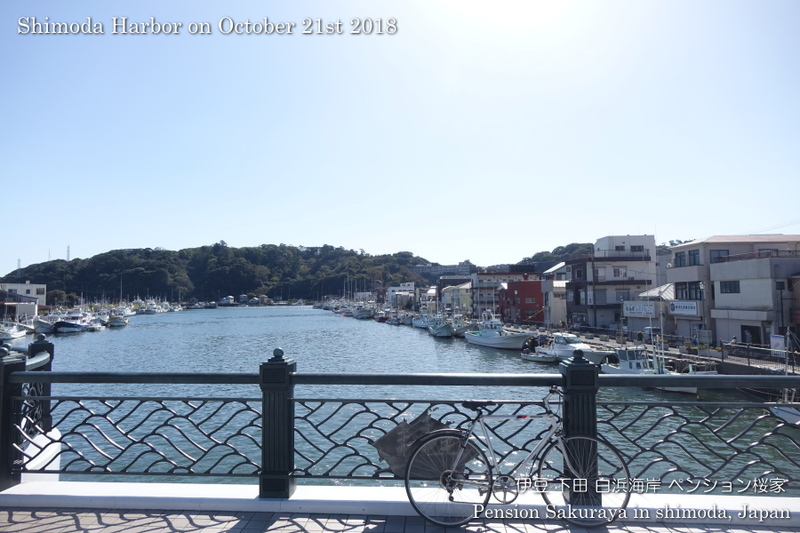 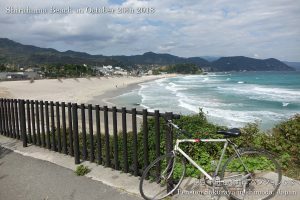 I went to Shimoda city by bike again this afternoon. 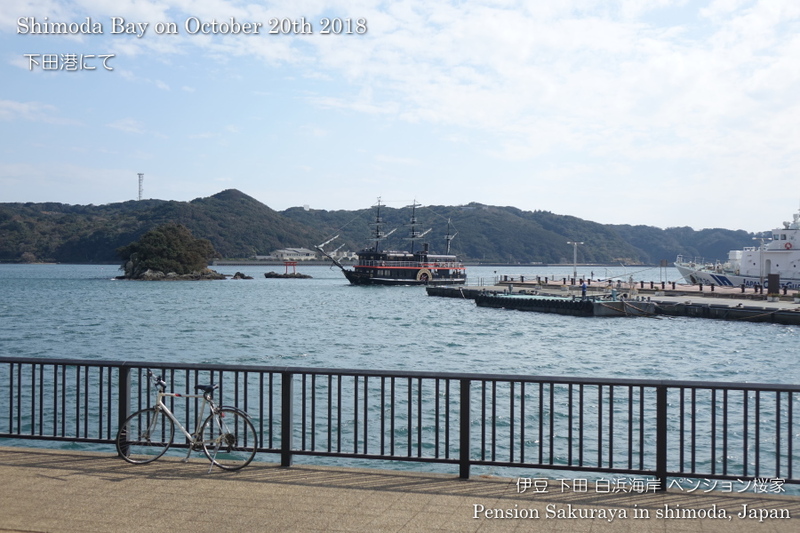 It was sunny and there was no clouds in the sky here in Shirahama today. 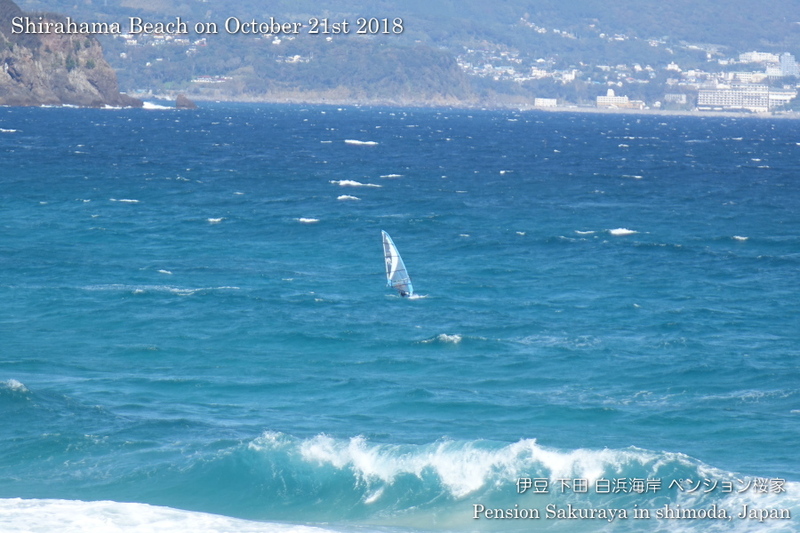 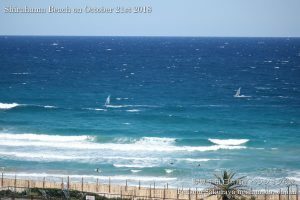 As we had very strong north wind there were some windsurfers on the beach. 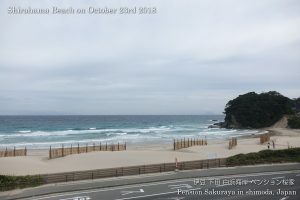 We had very strong north wind in Shirahama, but there was no wind in Shimoda city. 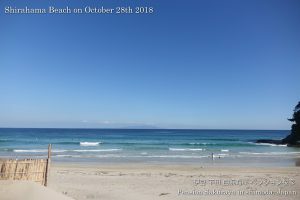 This entry was posted in beach, nature on 2018年10月21日 by izusakuraya.